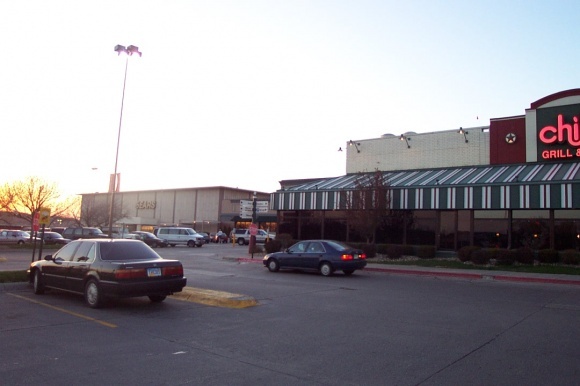 Located in the middle of the country and home to agricultural giant Conagra as well as financial super-hero Warren Buffett, metro Omaha has suffered its fair share of troubled malls. 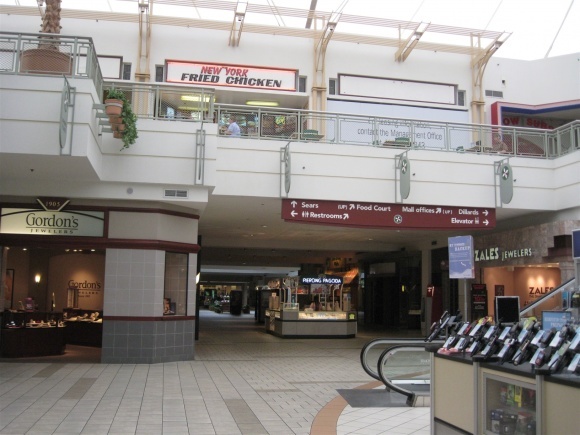 East of downtown Omaha, Council Bluffs’ Mall of the Bluffs is suffering from a rising vacancy rate and has a large wing that is almost entirely empty. 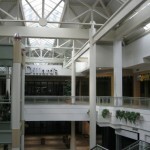 South of downtown, in suburban Bellevue, Southroads Mall failed over a decade ago and lost all its retail anchors, having since been repurposed into an office center. 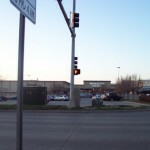 Crossroads Mall, located in the middle of the city, was the first regional center in Omaha. 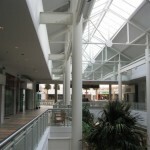 Today, it is a failed mall with many vacancies, ripe for redevelopment. 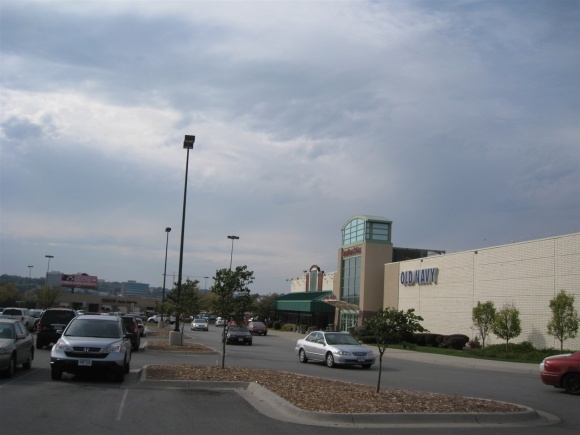 In 1966, the Brandeis chain, determined by their success in developing a regional mall at Crossroads, did the same thing on the south side of Omaha, in suburban Bellevue, and constructed Southroads Mall in the same vein. However, due to their locations on opposite sides of town, Southroads and Crossroads weren’t really ever in direct competition. More serious competition was, however, on the horizon. 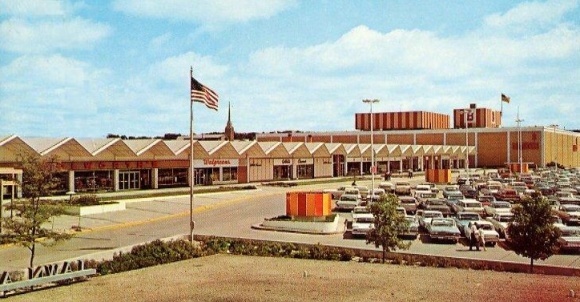 In 1968, just eight years after Crossroads Mall opened, major competition arrived just 5 minutes down the street with the opening of Westroads Mall. 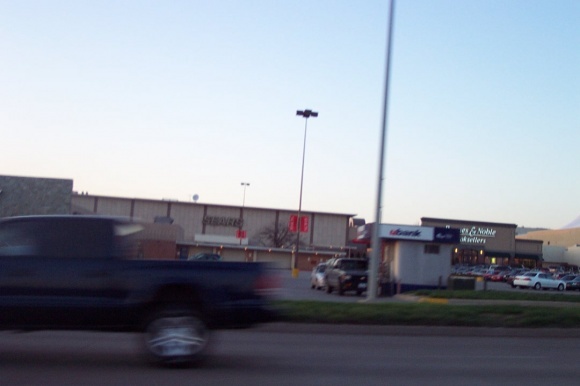 Anchored by another Brandeis store, Montgomery Ward, and J.C. Penney, the much larger Westroads was closer to the new sprawl of residential construction and growth in Omaha, and thus was poised to instantly be crowned the best mall in the region. 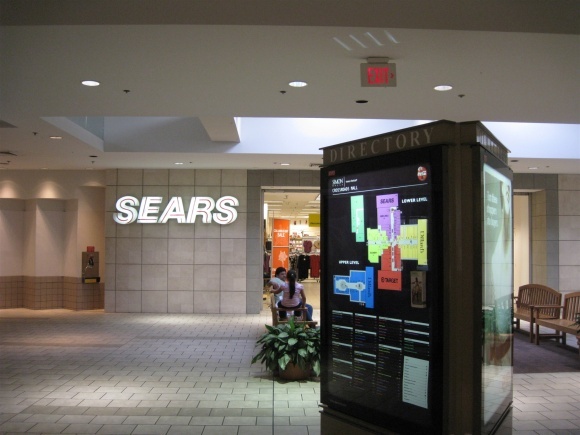 Even so, the two malls were mostly complementary until the early 2000s, when a number of factors, mostly competition, dealt a death knell to Crossroads. 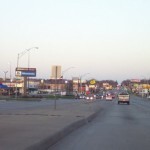 Despite Westroads’ dominance, both Crossroads and Westroads thrived throughout the 1970s and 1980s, even with the arrival of competitor Mall of the Bluffs in 1986, located east of downtown Omaha in Council Bluffs, Iowa. 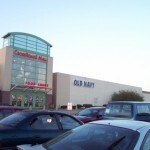 The period between 1986-1988 also marked the period of greatest change for Crossroads Mall, culminating in the rebranding of one of the two original anchor stores as well as a major mall expansion. 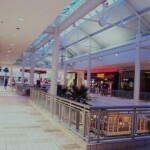 This addition doubled the size of the mall, giving it the fuel it needed to survive in a fiercely competitive retail climate, which was about to get even more crowded in the 1990s and 2000s with the addition of one large enclosed mall and two outdoor ones. 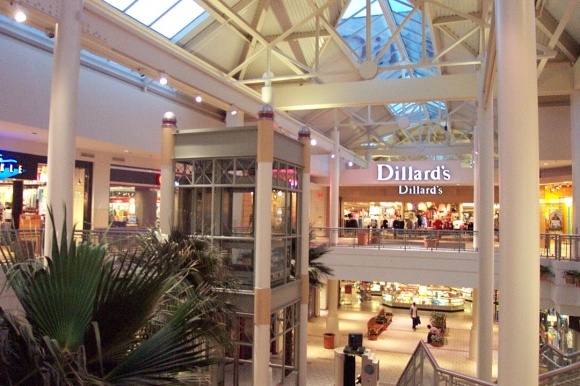 The expansion of Crossroads, which began in 1986, created a brand-new two level addition between center court and a new north anchor, a 2-level, 216,500 square-foot Dillard’s. 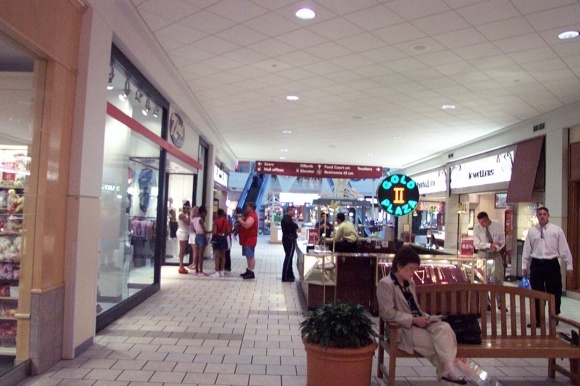 It also expanded the mall south from center court, where a new one-level addition reached south into the parking lot, culminating in a new main entrance. 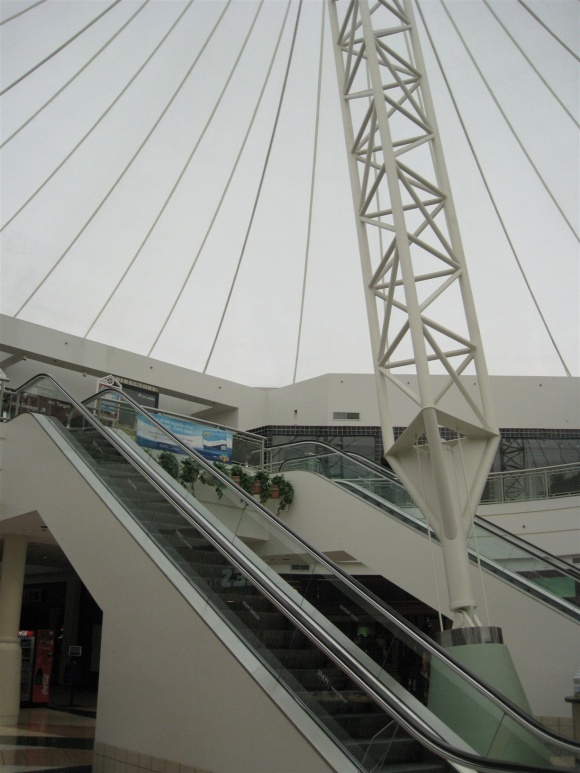 The result was a mall shaped like a cross, with three-quarters of the corridors having one level and one-quarter bearing two levels. 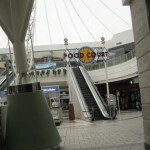 In addition, a 6-level parking structure was built on the northeast side of the complex, and a new food court was constructed on the second level, above center court. 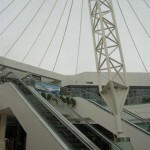 Above the food court and center court are a massive Teflon-coated tent-like roof that can seen for miles around on Omaha’s flat, rolling landscape. 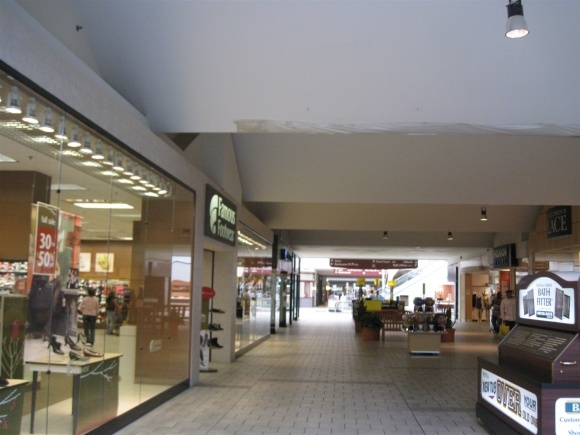 Also, the mall’s original 56-foot-wide corridor was narrowed, providing extra retail space for new stores. 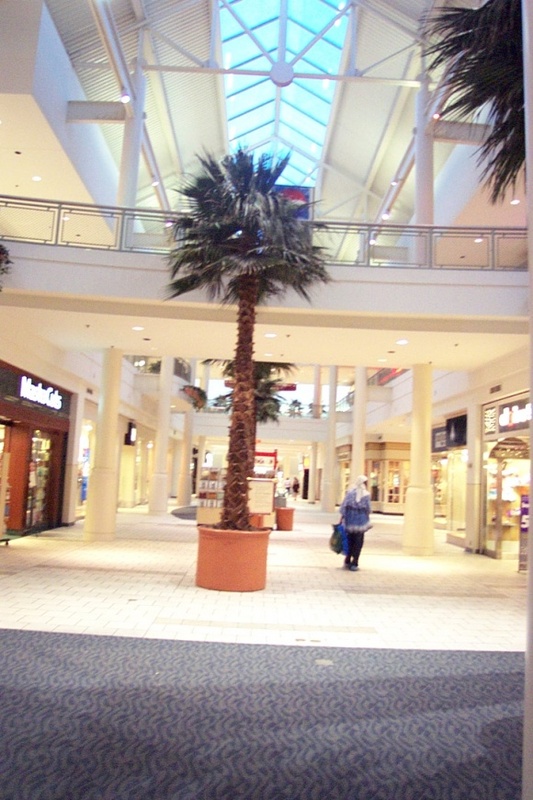 While the mall was renovated and expanded, an anchor change took place as Brandeis was sold to Des Moines-based Younkers, giving both Crossroads and Westroads malls new anchors. 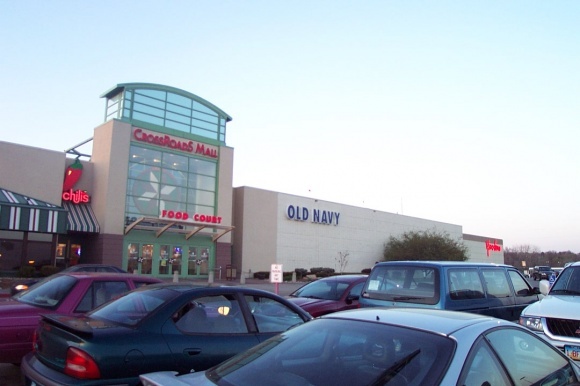 By 1988, all of these changes were complete, giving Crossroads Mall 735,000 square-feet of retail space, with three anchors and room for 70 retailers. 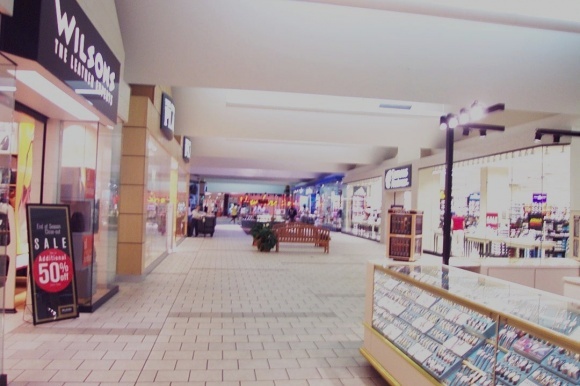 In 1991, more competition for Crossroads arrived in far west Omaha with the opening of Oak View Mall, a modern, large two-level mall featuring more than 100 stores and four anchors: Dillard’s, Sears, Younkers, and J.C. Penney. 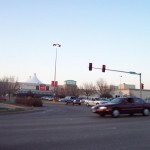 This new mall, combined with renovations and expansions at Westroads, shifted the retail dominance in Omaha, from being shared between Westroads and Crossroads to between Westroads and Oak View. 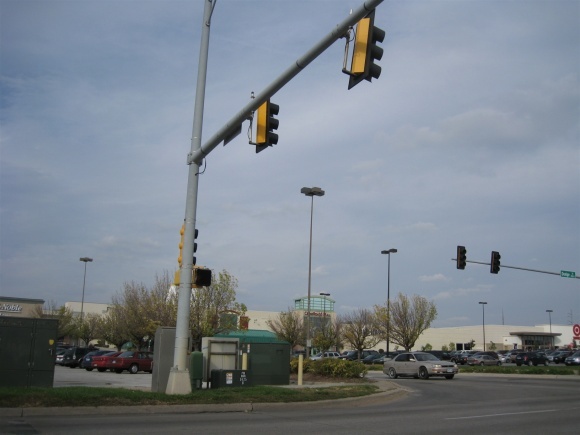 The relatively wealthy residents of sprawling West Omaha no longer needed to travel to Crossroads to visit Sears or Dillard’s, or for any other reason. 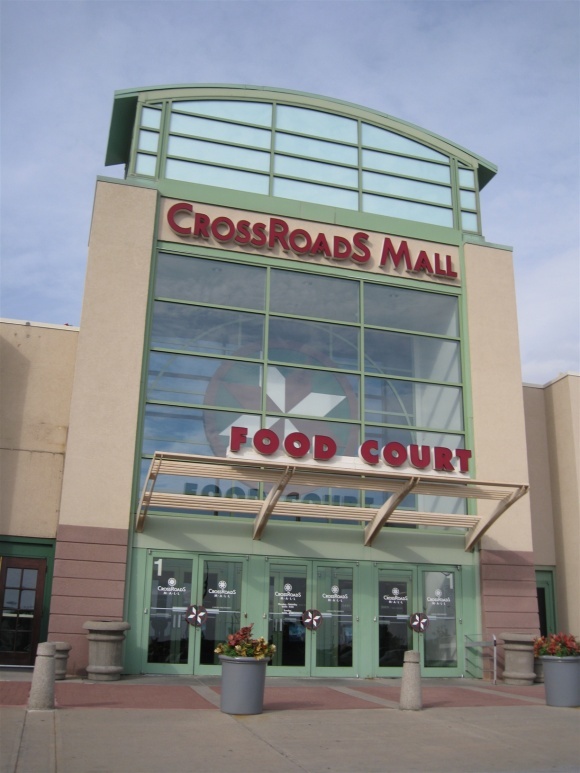 Even so, Crossroads continued to soldier on as a successful ancillary fill-in mall, serving the areas of the city it was closest to. 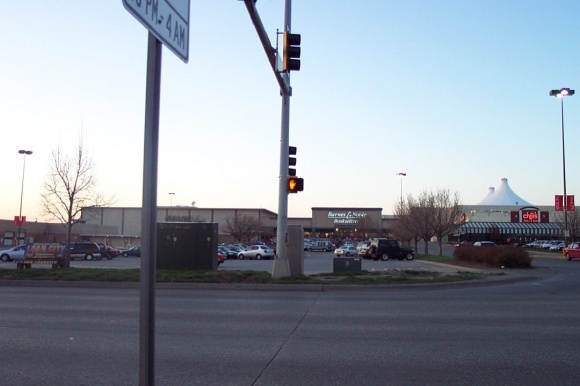 Banking on the center’s location and convenience, in the middle of the Dodge Street retail strip and in the middle of the city, Crossroads was still the closest mall for many Omaha residents and thrived for many more years as a regional convenience mall. 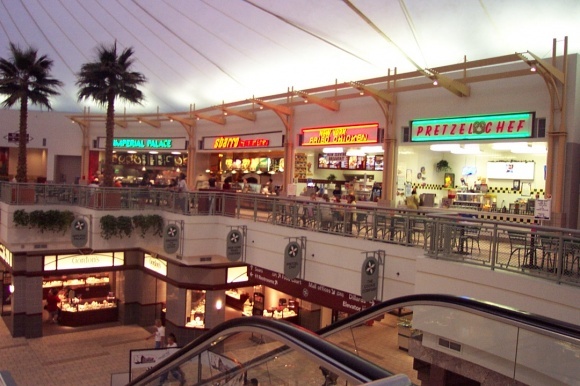 It even attracted and retained many national stores like Gap, Aeropostale, Suncoast, and Old Navy, which stayed with the mall until the mid- to late-2000s. 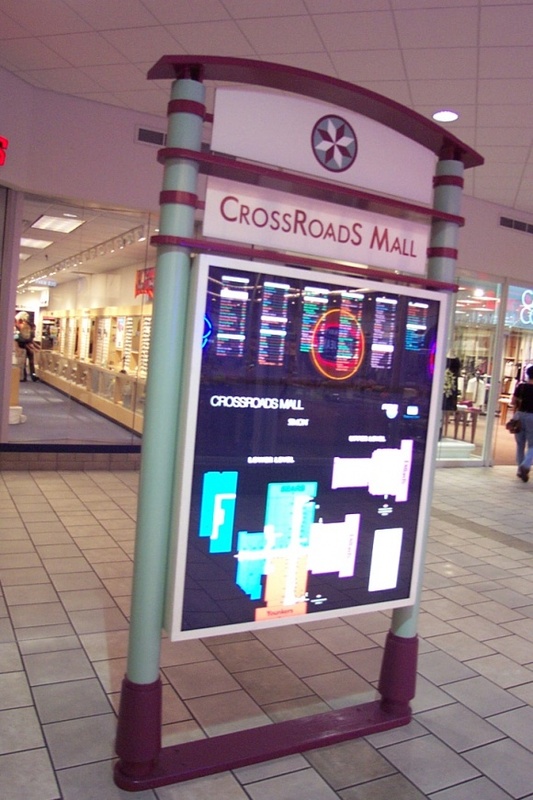 In 1994, Crossroads was bought by Melvin Simon, who gave the mall a minor facelift renovation in 1998. 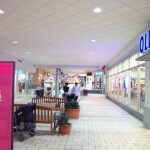 The facelift brought a new “compass” logo and new signage to the mall, a large, lighted food court sign at center court, and an updated neutral color scheme. 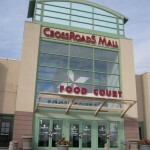 By the turn of the millenium, Crossroads was still thriving, mostly due to its convenience and solid roster of stores. 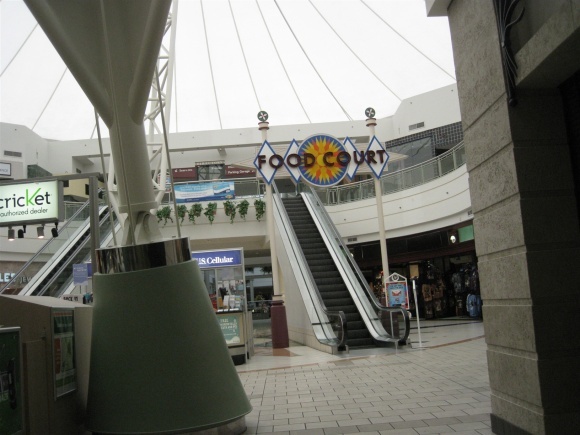 When I visited in 2002, the vacancy rate was relatively low, the food court was full and thriving, and the mall was busy with shoppers. 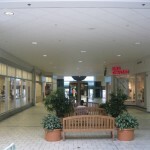 Unfortunately, though, the bottom dropped out at Crossroads rather quickly, and during the rest of the decade the mall all but cleared out due, at least in part, to competition from two new outdoor malls Village Pointe, which opened 8 miles west of Crossroads in 2004, and Shadow Lake Towne Center, which opened in south suburban Papillion in 2007. 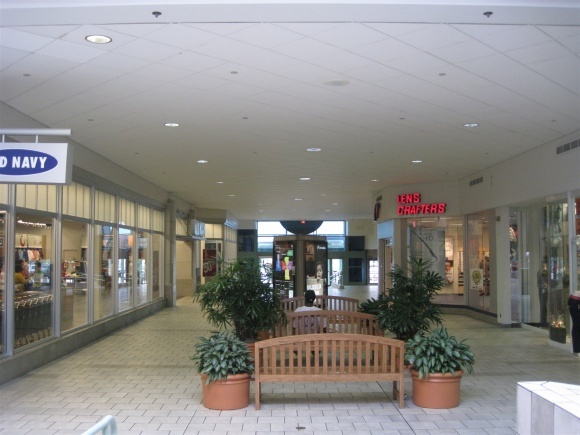 The first anchor to depart Crossroads was Younkers, which closed in January 2005. 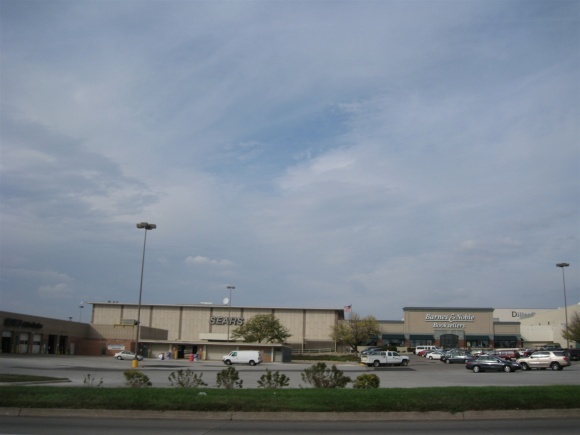 Younkers had moved into a new, larger space at nearby Westroads Mall in October 2003 and saw the duplicate store at Crossroads, just five minutes away, as unnecessary. 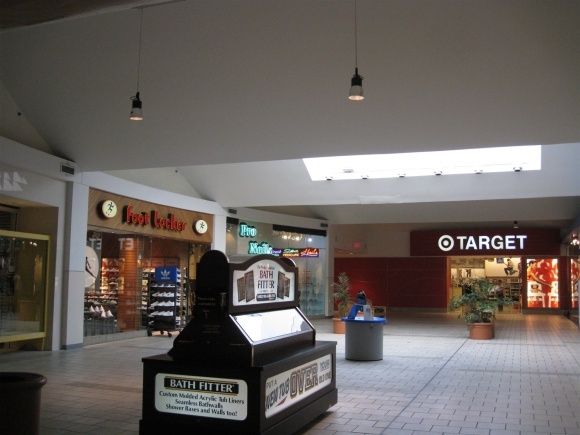 Originally, this didn’t seem to be a major problem, because popular retailer Target moved into the space in July 2006 after demolishing the former Brandeis/Younkers and building their own smaller, 90,000 square-foot structure. 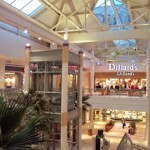 In January 2008, more trouble came as Dillard’s decided to convert its Crossroads store into a clearance center, and then closed the store permanently later that August. 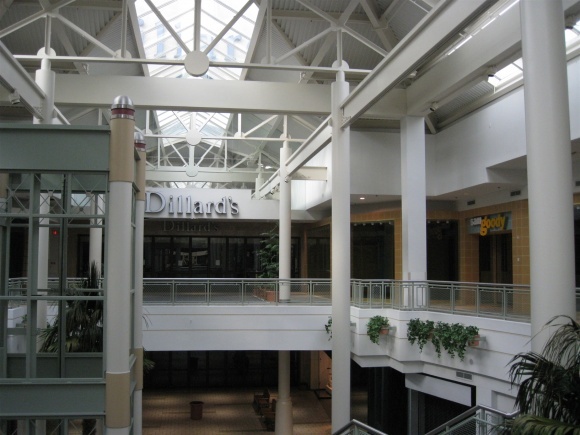 Unlike the departure of Younkers, the absence of Dillard’s had a greater effect on a large part of the mall. 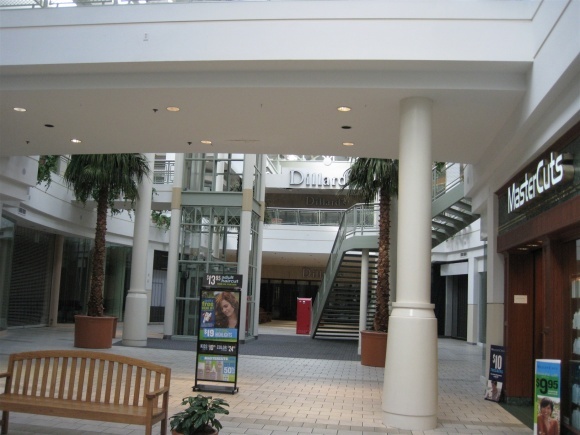 By 2009, the entire second level of the Dillard’s wing, including the food court, was completely vacant, and the mall was in big trouble. 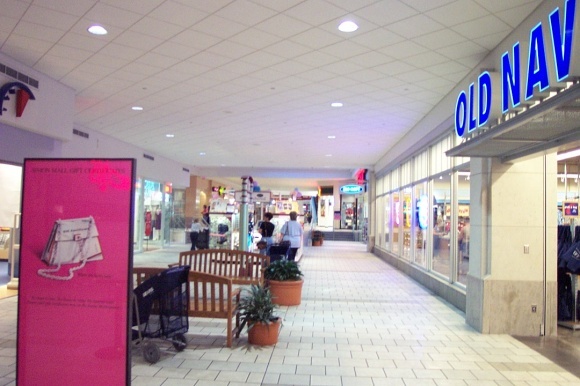 Other popular tenants like Gap, Old Navy, and two national jewelry stores also left in droves. 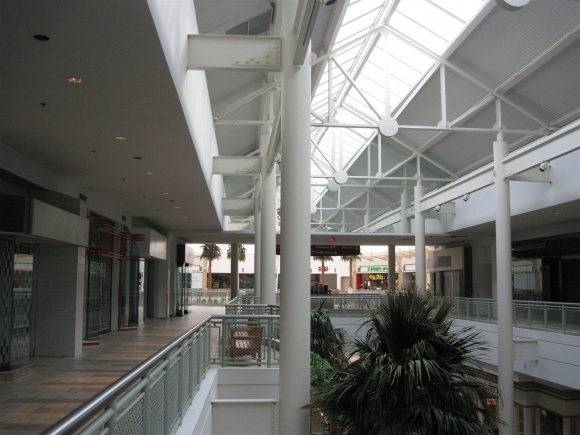 In early 2010, Simon, unable to seek a buyer for the flagging mall, decided to stop paying its mortgage and let the mall fall into foreclosure. 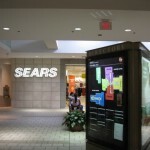 During the March 2010 foreclosure sale, Simon’s former lender purchased it for over $40 million. 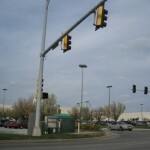 Then, in June 2010, Crossroads was sold again to Century Development, an Omaha-based firm who seems committed to the redevelopment of the site. 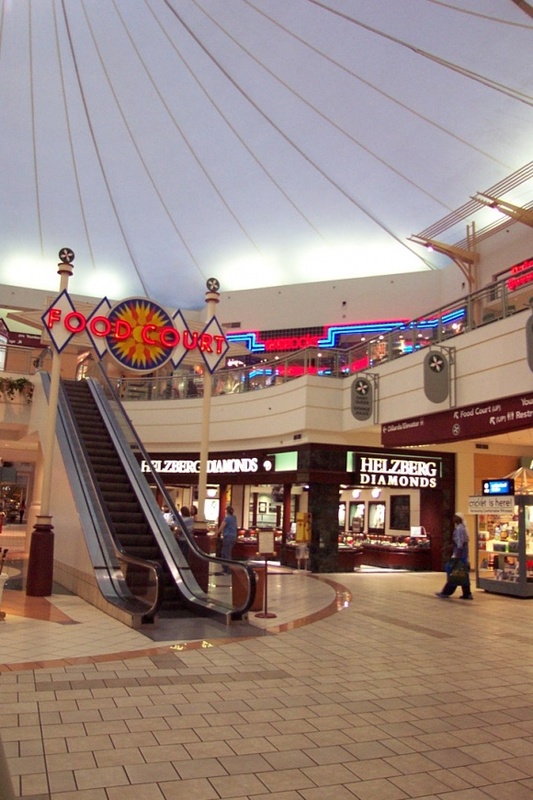 What does the future hold for Crossroads Mall? 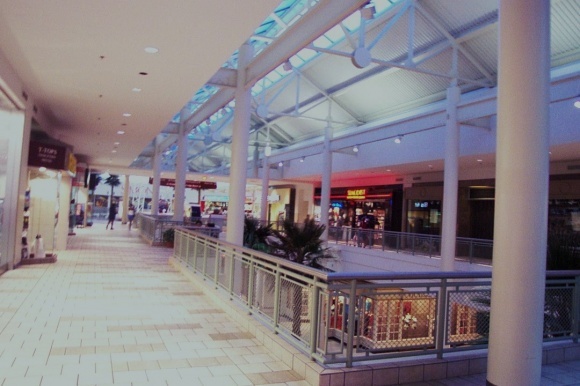 It’s anyone’s guess, but proposals dating back as far as 2004 envision the conversion of the mall to some sort of mixed-use development, combining retail with entertainment, dining, housing, medical, offices, and more. Students at nearby UNO, as well as others, envision the mall becoming a miniature version of Kansas City’s Power and Light District, a popular urban mixed-use destination featuring dining, nightlife, hospitality, shopping and more. 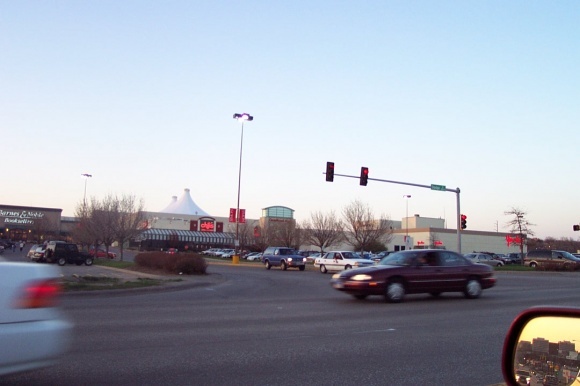 Some problems were indicated with this proposal, though, namely that Crossroads is along a suburban, low-density strip, located several miles from downtown, and that some of the existing buildings at Crossroads are not owned by the mall, like Target and Sears. The location of the Crossroads site is one of the best in the entire city, centrally located and well positioned for redevelopment, so it shouldn’t be too long once plans are laid. 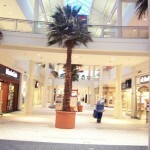 But, until then, the mall is open and living on borrowed time. 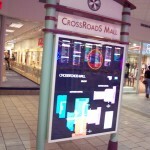 I visited Crossroads in April 2002 and October 2008 and took the pictures featured here. As always, feel free to leave your own reactions and anecdotes in the comments on this page. 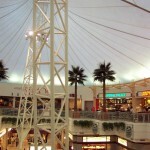 The towering palm trees are a nice touch, but that tent thing as a roof, over the center court area, is hideous! 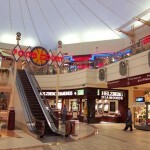 Why is there a tent as a roof? @Alpha, you may be on to something. 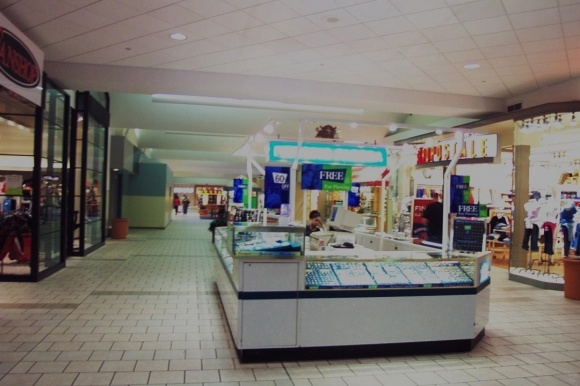 University Mall in Little Rock got one of those Teflon tents back in the late 1980s during an expansion/remodel. 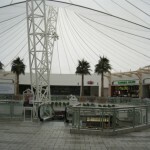 The mall eventually spiraled so far downward that Strode, who bought it from Simon, demolished the whole mall to build completely new structures. Brandeis was one of the top regional chains back in the 1970s, but they seem to have lost their way pretty quickly in the ’80s. 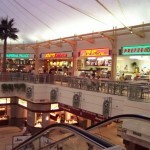 Like a lot of similar stores, over-expansion put them in a compromising position, making them vulnerable to competition. 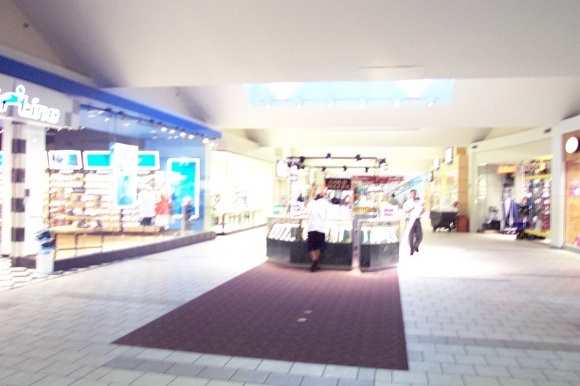 @Steven Swain, Brandeis was purchased and absorbed into the Younkers brand beginning in about 77. 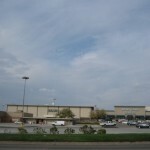 A few of the stores, like at the Southroads Mall in Bellevue, NE, operated as Younkers (outlet?) for a few years. 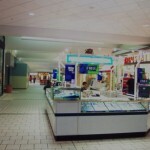 The original anchors at Westroads was JC Penney, Montgomery Wards and Kilpatric;s departmetn store . 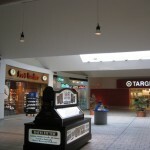 Kilpatrrick’s was owned by Younkers. 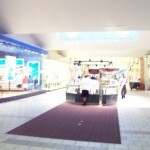 Brandeis at some point opened a smaller store at Westroads. I’m really shocked the Dillard’s signs are still up. 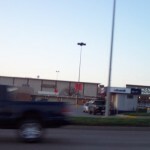 This is the first time I can recall seeing Dillard’s signs on a closed store. It has been my experience that Dillard’s has a crew on-hand to remove the signs on the last day of business. 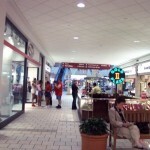 They removed the ones at the East Town (Knoxville Center) store during the last day of business. Ditto for the store they closed in Columbia, SC last year. 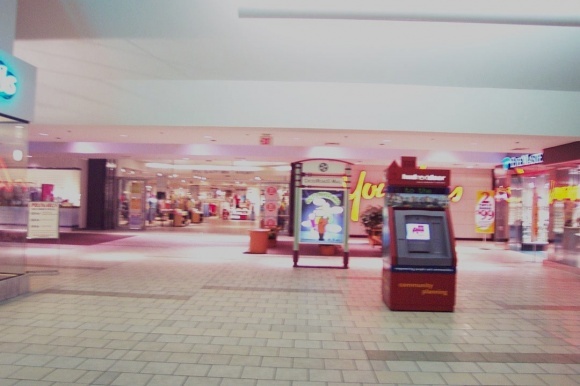 they were off of the Eastland store by the time the Charlotte Observer was out to photograph the site the week of the closing. 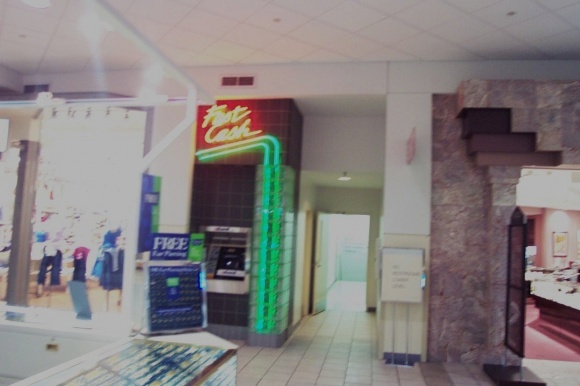 In all the pics up on This site and Steven’s, Sky City and MOH, I’ve never seen one of their signs still on a dark store. 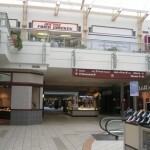 Does anyone remember Bagel Time in the food court at Crossroads? Yep, sure do. This is sad. 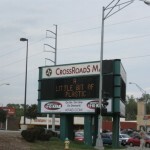 The Crossroads was my hangout as a teenager. 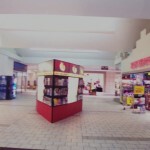 Does anyone know where The Crossroads twin Cinema was in Crossroads mall between 79 and 86 and what is there now? In the news paper it was called Crossroads 2. 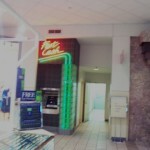 I believe it was located in the Crossroads mall. 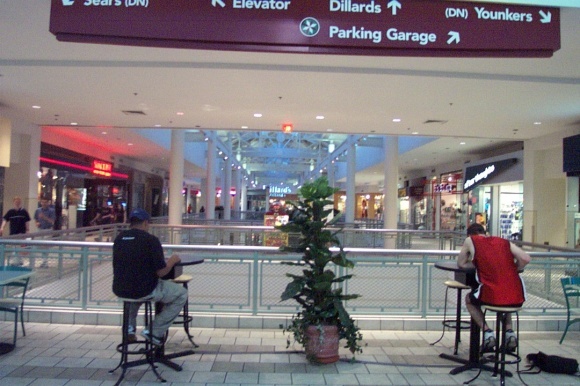 You believe it was in the Crossroads mall? I don’t even know why you replied. “It was located (still is located?) 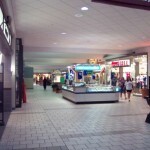 in the basement of the Crossroads shopping center. As that building is mostly vacant, does that space still exist? 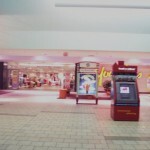 That’s why it was a twin… empty space utilized to show movies. @Jon, thanks Jon. I saw the post as I am the one who started that page for the Crossroads Cinema. I actually got a chance to go downstairs. Where the theatre was is now a spot they keep the dumpsters. there is nothing down there now. 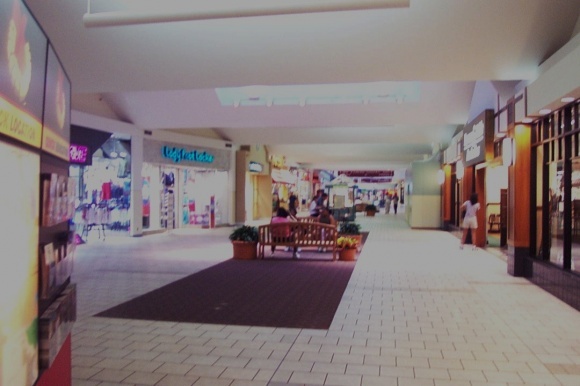 Most people don’t remember there were stores in the basement of Crossroads at one time as well. When they built the second floor and added space on the main level. 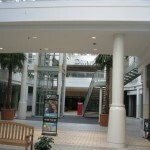 they had no need to have stores in the basement level. 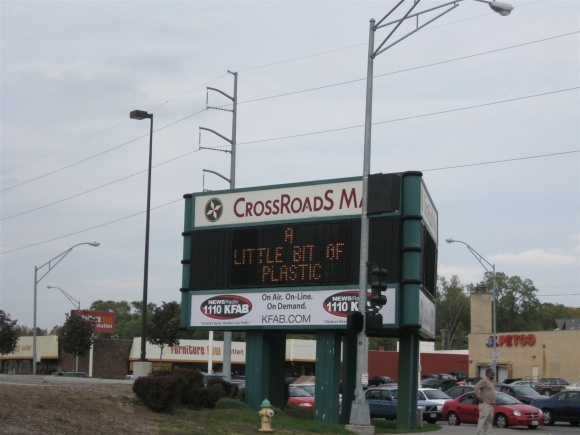 Crossroads was a favorite place for me to go in my younger years. I grew up in Grand Island, Ne. but my parents were originally from Omaha and I can claim Omaha as my place of birth. 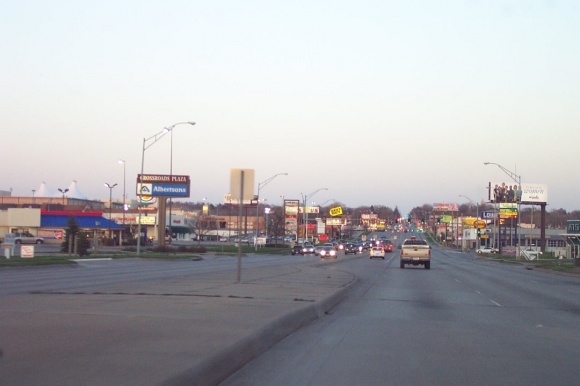 All of our extended family lived in Omaha and I visited Omaha quite a bit – especially when Aksarben was open. 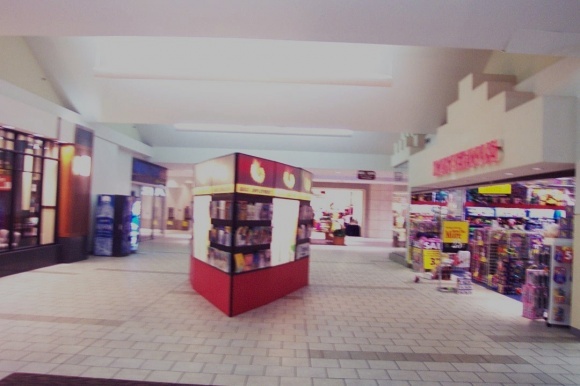 Youngtown was a very nice toy store in the Crossroads Mall – I don’t think it was there after the 1988 remodel. 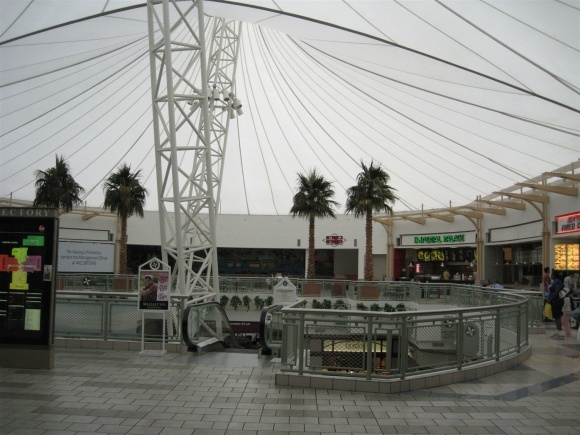 A bit off topic, Peony Park was close to the Crossroads Mall and was also a fun place to go. Jonesy’s Dinner Den on 86th & Maple was my favorite place for fried chicken – they also had huge butterfly shrimp and a neat saltwater aquarium in their waiting area. We usually ate at Jonesy’s Friday night and would go to the Crossroads afterward to “walk off our dinner.” I was young then and the words “nothing lasts forever” meant nothing to me. Today, I understand what was said to me back then. 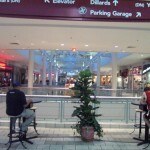 I could never imagine in my wildest dreams the Crossroads Mall would have so much vacant space. 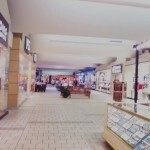 Peony Park, Aksarben, and Jonesy’s are all gone. However, I have the memories that will last a lifetime. Thanks for reviving some of those memories. Yes, Aksarben was one of the biggest horse racing tracks in the country. Now, it’s just another strip mall with several parking garages. 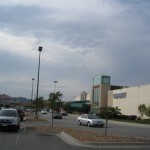 Peony Park is a HyVee grocery store, with a keno lounge and bank on the property. 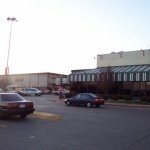 Indian Hills Theater became “extra parking” for Methodist Hospitals. However, the article above is not completely correct. 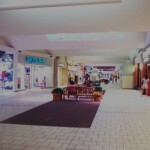 The Crossroads Mall was loosing business long before Dillard’s vanished. The people at Dillard’s were just standing around. 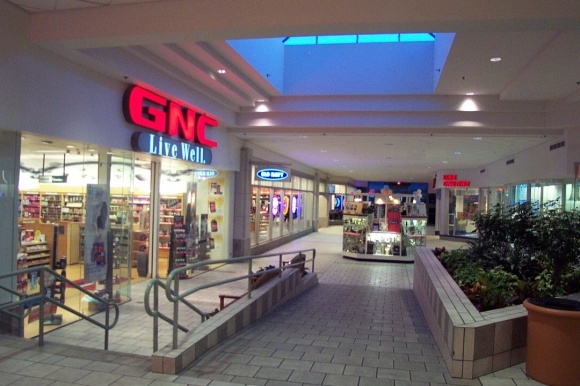 They were the only anchor store to have an entrance from there top floor. 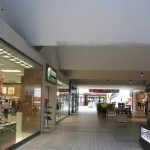 That “partial” level had several stores leading down to Dillard’s third level entrance. Almost ALL of these went dark. That didn’t help Dillard’s, either. 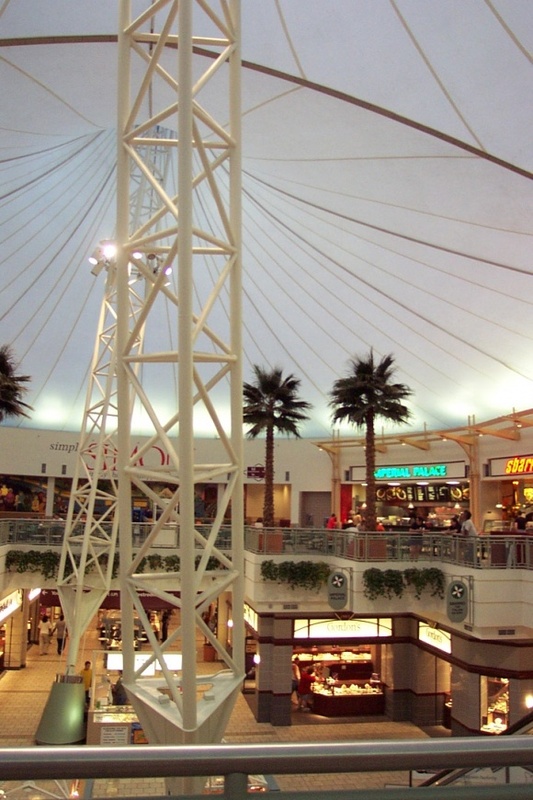 I worked at Southroads back in 2000 when it was still a real mall. 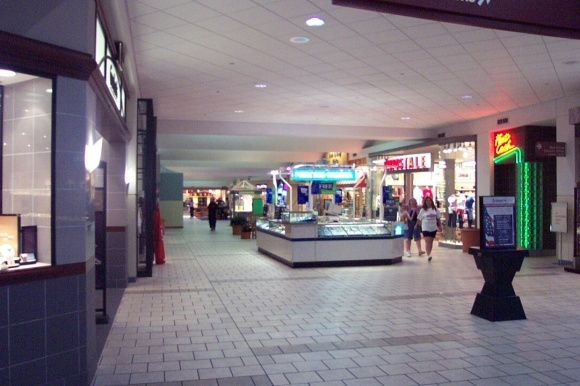 It was weird since I grew up around there and remember when the Brandeis section was changed to the Younkers section, which is now a TD Ameritrade. The southern section is now occupied by a security firm. I think the internal “stores” are now mostly occupied by Ameritrade, Bellevue University, and possibly some portions by the security firm. I recall seeing the steady decline after no longer working there. My friends and I would spend Sundays eating at one of two Greek restaurants: Nick’s Gyros, and John’s Grecian Delight. The people who ran those places were really cool. 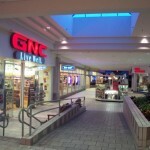 I also recall meeting the owner of Bob’s Gym, formerly Powerhouse Gym. He seemed like a cool guy; more into bodybuilding than “fitness.” Overall very interesting seeing the change where I lived. What was once Southroads Mall is now Southroads Technology Park, unless that’s changed again since I last had a reason to drive south on Fort Crook Road.